GSDM creates people with advanced expertise and the ability to flexibly apply that knowledge in multidisciplinary fields. 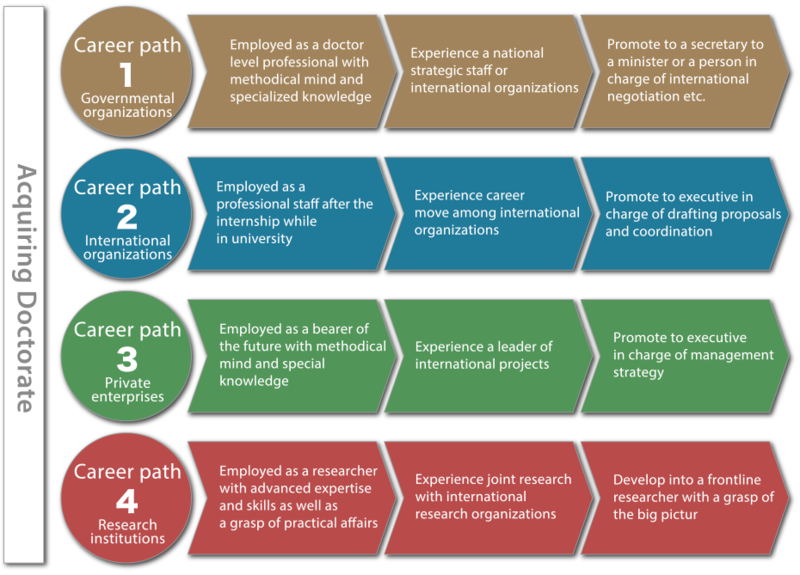 Our graduates are PhD holders capable of leading the international community, a country, or the business community in the near future because they are equipped with the following skills. Ability to identify issues by leveraging specialized and broad-spectrum knowledge from a global perspective, to design solutions that bring together innovative technologies and public policy, and to implement these solutions by collaborating with diverse stakeholders. Leadership, capability to define and solve problems, sense of responsibility and mission, communication skills, information literacy, and sense of ethics. Ability to understand, and the desire to strive to understand, other disciplines as a specialist in science and technology or the social sciences. 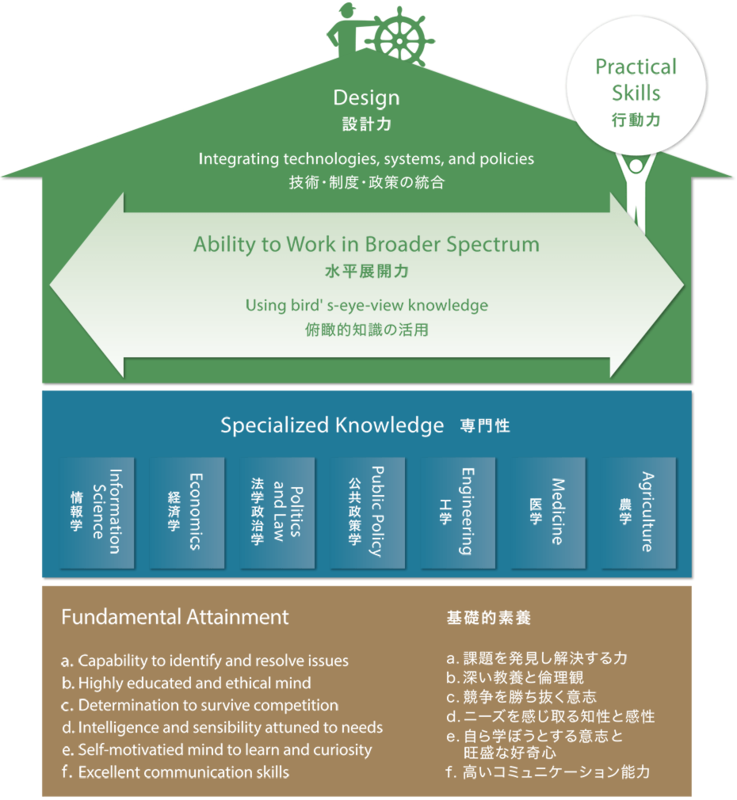 The above competencies can be divided into five categories: foundational qualities, expertise, the ability to work in a broader spectrum, design skills, and practical skills. The “Social Design and Management” human resources has these competencies. 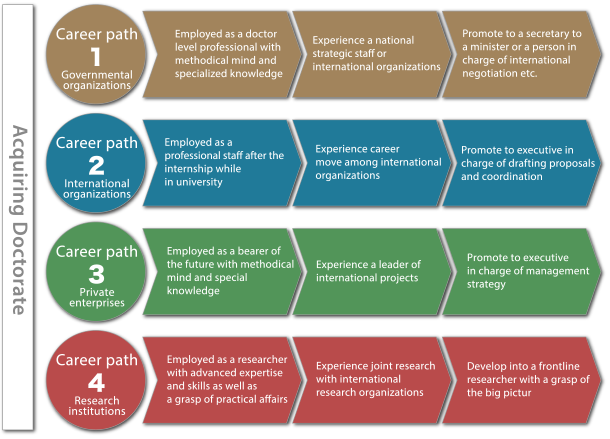 The program assumes that graduates will work at governmental organizations, international organizations, and private enterprises and aims to produce global leaders capable of playing a key role in decision making.